Orange "lamé" jacquard with print. The design of the artist, Raoul Dufy, is depicted on this one, large piece of cloth, realized by the Bianchini-Ferier company. 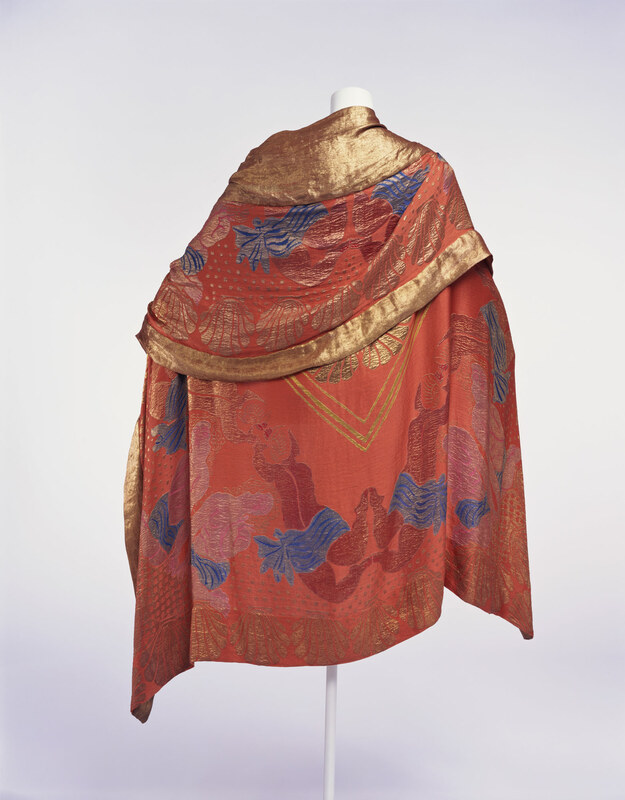 Dufy, who had been working to become an artist, met Paul Poiret and began designing textiles. He left many textile works, and was a pioneer of artist-designed textiles. Aiming for the crossover of art and fashion, Poiret unsparingly offered assistance to young artists and stressed interaction between them.